This book provides a chapter-by-chapter update to and reflection on of the landmark volume by J.J. Gibson on the Ecological Approach to Visual Perception (1979). Gibson’s book was presented a pioneering approach in experimental psychology; it was his most complete and mature description of the ecological approach to visual perception. Perception as Information Detection commemorates, develops, and updates each of the sixteen chapters from Gibson’s volume. The book brings together some of the foremost perceptual scientists in the field, from the United States, Europe, and Asia, to reflect on Gibson’s original chapters, expand on the key concepts discussed and relate this to their own cutting-edge research. 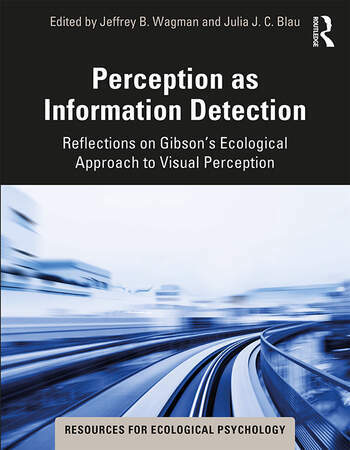 This connects Gibson’s classic with the current state of the field, as well as providing a new generation of students with a contemporary overview of the ecological approach to visual perception. Perception as Information Detection is an important resource for perceptual scientists as well as both undergraduates and graduates studying sensation and perception, vision, cognitive science, ecological psychology, and philosophy of mind. Part Two. The Information for Visual Perception. Jeffrey B. Wagman, Ph.D. is Professor of Psychology at Illinois State University. His research focuses on perception of affordances. He is a recipient of the Illinois State University Outstanding University Researcher Award and a Japan Society for the Promotion of Science Invitation Fellowship for Research in Japan. He is an Associate Editor of the journal Ecological Psychology. Julia J. C. Blau, Ph. D. is an Assistant Professor of Psychology at Central Connecticut State University. She earned her doctorate in ecological psychology from the University of Connecticut. Her research focuses on the fractality of event perception, as well as the ecological approach to film perception.